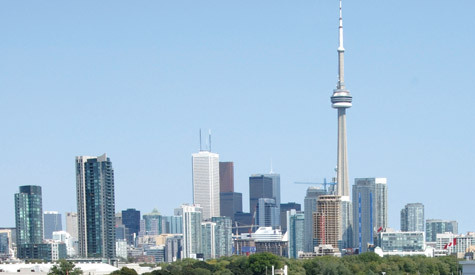 The GTHA, located in southern Ontario, is Canada’s largest urban region. It is also one of Canada’s fastest growing urban regions. With a current population of over six million people, it is forecast to be home to 8.6 million people by the year 2031. The GTHA comprises two single-tier municipalities (Hamilton and Toronto) and four regional municipalities (Durham, Halton, Peel and York), along with their 24 lower-tier municipalities (see Figure 1). The GTHA is currently served by a loose network of regional transportation corridors that was mostly developed several decades ago (see Appendix A). Regional rapid transit is limited to the GO Rail network and the Toronto subway system, with a historical emphasis on serving Downtown Toronto. High-order east-west regional travel is accommodated primarily on controlled-access expressways, including the Queen Elizabeth Way, the Gardiner Expressway, Highway 401, Highway 403 and Highway 407, with the Lakeshore GO Rail corridor and Toronto’s Bloor-Danforth subway being the only major east-west high-order transit options. Options for north-south travel include several rail corridors radiating outward from downtown Toronto, as well as a few controlled-access expressways. Higher-order transit services that connect destinations outside of central Toronto to one another are almost entirely lacking.